All All Bishop's Items Church Goods Apparel Furniture Jewelry Rosaries Statuary Special Occasions Wall Art Restoration Refinishing Sale! Matthew F Sheehan Co., Inc. Minimum charge of $20.00 for a maximum of 20 characters. You will automatically be charged an additional $1.00 per character over the initial 20 characters. 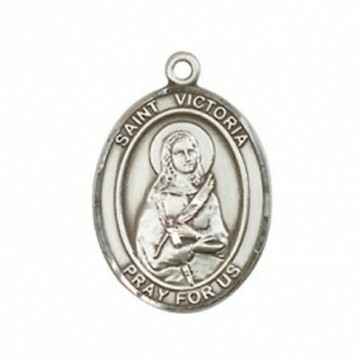 St. Victoria Pendant. 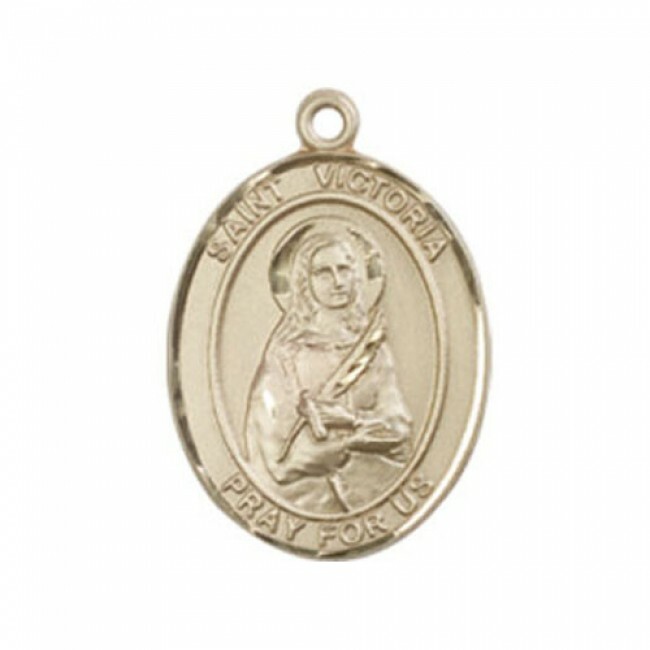 The medal measures 3/4 x 1/2 and is available in Sterling Silver on a 18SS Chain, Gold Filled on a 18GF Chain and 14 Karat Gold - No Chain. Thank you for visiting Matthew F Sheehan Company. We are the oldest religious store in the country, established in 1907. Our extensive collection includes religious items from the top suppliers worldwide, including Abbey Brand, Empire Bronze, Beau Veste, Creed, Demetz Statuary and Artistic Churchware for Over 65 Years Made in USA as shown throughout our web site. Copyright © 2018. Matthew F Sheehan Co., Inc.